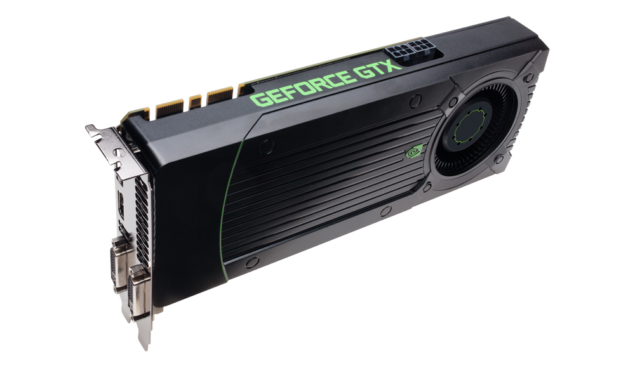 Last month when NVIDIA was about to launch their GeForce GTX 780 and GeForce GTX 770 parts, rumors hit the web that NVIDIA may also launch a GeForce GTX 760 or GeForce GTX 760 Ti card in the month of June. Well we have already seen a GeForce GTX 760 lying about the Computex 2013 floor but when is the card going to launch? NVIDIA Possibly Launching GeForce GTX 760 on June 25th? You may wonder why there’s so much fuss about this new card? First of all, the GeForce GTX 760 or GeForce GTX 760 Ti (Whatever NVIDIA plans to call it) is a mid-range card attracted towards the more budget conscious gamers who cannot or don’t want to spend more money on cards like GeForce GTX 780 or the GTX Titan. These cards may be slower in performance than their bigger brothers but at the end of the day and due to their attractive price range, they become the cash cows for their makers selling well if priced right. You will see more GeForce GTX 660 Ti’s or Radeon HD 7870’s than the flagship 7970 or 680 selling in the markets making mid-range parts a crucial market for both graphics maker. The GeForce GTX 760 is said to be launching of June 25th according to Videocardz. A different source who has been quiet alot accurate in the past mentions the launch of the same card next week. No matter which source is right, we will get to see the card this month for sure. For the specifications, there is still some speculation due to the fact that we have also known the 760 Ti since the launch of GTX 780. Now here’s what most sources have to say, GDM.or.jp mentions that the card is a re-badged GeForce GTX 670 with 1344 cores, 128 TMUs, 32 ROPs and a 2 GB GDDR5 memory with a similar clock frequency while the memory would operate at 7 GHz effective range. Now if this is true than the performance is expected to exceed the GeForce GTX 670 by 5%. But according to Videocardz, incase the GeForce GTX 760 Ti is launch or even if it exists then we won’t see the above mentioned specifications in the new card but rather a much more slimmed out version of the GK104 with 1152 cores would be announced which would hit the performance alot. In both cases, the card would ship with a 2 GB GDDR5 memory. Pricing has not been mentioned by either source but we will be looking at a $299 price tag for the GeForce GTX 760 Ti if it exists and $249-$229 tag for the GTX 760. Launch is supposedly taking place in the next couple of days.